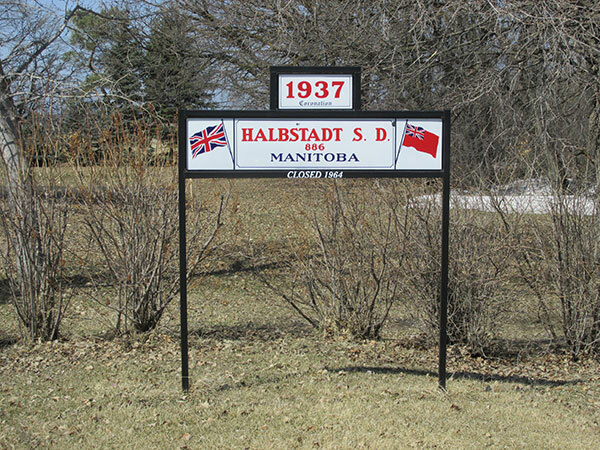 The Halbstadt School District was established in April 1896, named for the home village of the Molotchna Mennonite Colony in southern Ukraine. 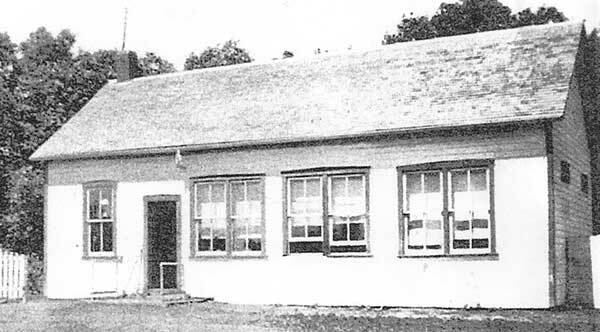 A one-room schoolhouse operated at SW10-1-1E in the Rural Municipality of Rhineland. 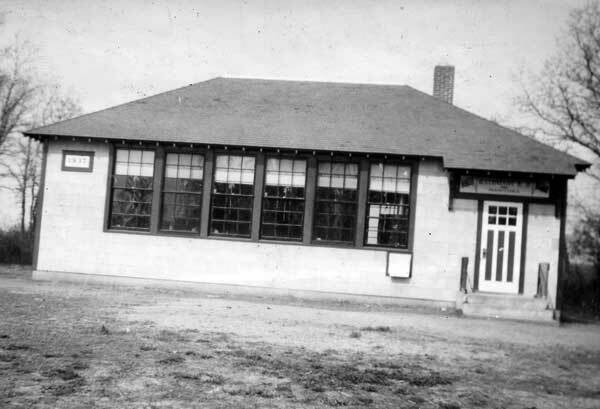 After the community lost control to Trustee J. F. Greenway around 1918, over its failure to follow legal requirements for school operation, they sought and resumed local control in 1920. They built a new school in 1937 across the road at SE9-1-1E, opposite the Halbstadt Cemetery. In 1960, efforts to consolidate the district with Houston School District and Strassberg School District failed to receive local support, but consolidation with Houston took place on 2 July 1964 under the name Halbstadt Consolidated School Disrtrict No. 214, thus preserving the Halbstadt name and the Houston district number. 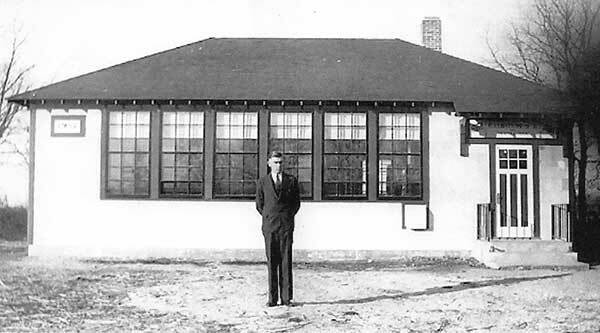 The school building was moved to the site of the Houston School. The yard with teacherage was sold and, as of 2014, the teacherage was occupied as a private residence. 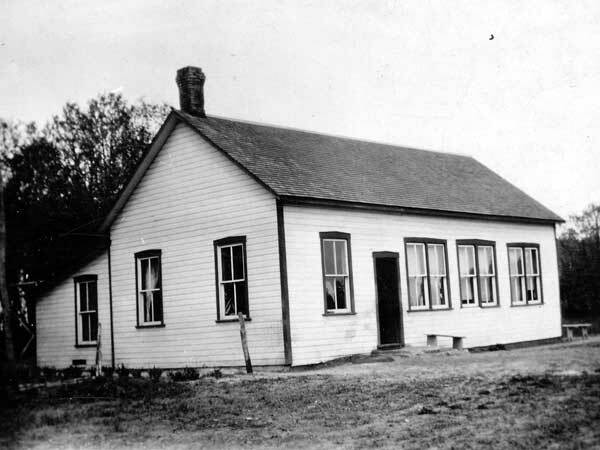 The district merged with Altona Consolidated School No. 333 in 1967. Halbstadt’s former school building was sold to a local farmer for use as a workshop at E8-1-1E. The name sign from the second Halbstadt School building was later erected at the site in commemoration of it. Among the teachers of Halbstadt School was Peter J. Peters. GR8461, A0233, C131-2, page 17. This page was prepared by Al Schmidt (Altona and District Heritage Research Centre), Jake Rempel, and Gordon Goldsborough.